The mini-laptop series was too clever, too soon. Now is its time to shine. The phone that stole the show at last year's MWC wasn't an Android, didn't have a Samsung badge on it, could barely connect to the internet and didn't have a touchscreen. The relaunched Nokia 3310 traded on one key thing: nostalgia. But it was enough for it to grab most of the headlines, and even see a re-rerelease later that year with souped up "3G" data speeds. That wasn't it though, just a month ago, we finally got the 4G version we presume some people were asking for. This year, Nokia (or, rather, brand-owner HMD) is at it again, reviving the iconic "Banana phone." But, one day into the show proper, and the chatter about it had faded. I think new-Nokia missed a trick. 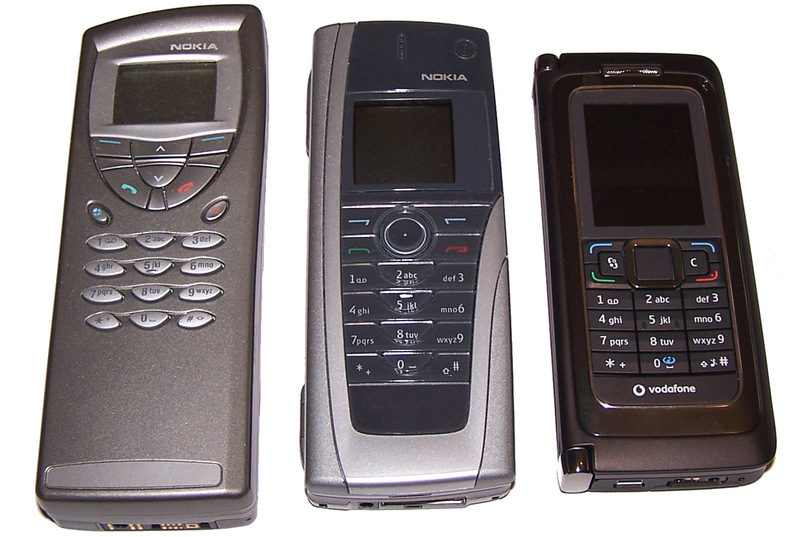 Instead of rehashing iconic feature phones, it should revive one of Nokia's most prescient franchises: the Communicator. While the 3310 is iconic, it's a 16 years old "dumb" phone, which means that it's not really all that much use to today's tech-savvy crowd. Even with a color screen, a camera (unheard of back then) and a few other tweaks, it was always going to be something for users with simple needs. Don't get me wrong, there are situations where phones like this can flourish. Younger/older users might enjoy the simplicity, for one. But these aren't the people raving about retro revivals. The Communicator series (my favorite is either the 9110i or the E90), is ripe for a 2018 remake. If you never saw one of these beasts, they were extra chunky phones (back when phones were already chunky), that flipped open to reveal a second, full-length display and a QWERTY keyboard, almost like a mini laptop. The Communicator screamed "I do business" and came with all manner of apps for the suit on the go. This was the defining "smart" phone of its day (if you're asking me that is). The Communicator line started early, around 1996. Showing that, even then, Nokia knew the future was email and internet on your phone. There were several iterations that grew smaller and smarter until the name fizzled out around 2007. 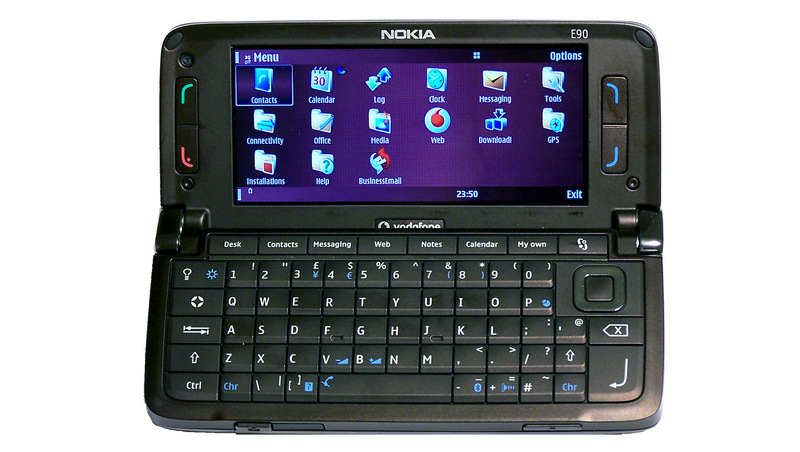 Nokia experimented with similar products, like the innovative, but ultimately lacking N800 internet tablet. And the 2011 E7 borrowed much of the Communicator's DNA with a slide out keyboard (but lost the executive charm of its forbearers). The E90 Communicator was the last hurrah of the franchise, but by then the iPhone had just arrived, Android was around the corner, and apps that didn't need a degree to configure were about to consign it to the history books. Nokia was then destined to wander into to sunset hand-in-hand with Microsoft (and Windows Phone). And here we are. You'd think that a clamshell phone with a physical keyboard would be redundant in 2018, but BlackBerry fans still pine for physical keys, and when Planet Computers showed off its -- Psion reboot -- Gemini PDA/Android hybrid at CES this year, the Engadget crew was polarized (I'm team Gemini, obviously). Anecdotally, a writer sitting next to me at MWC as I type this is pecking out missives on an old Huawei phone and a fold-out Bluetooth keyboard, I'm pretty sure she'd love a modern Communicator too. New Nokia has the ability to make a decent Android phone, if the latest Sirocco is anything to go by, so a higher-spec, more capable Android Communicator isn't beyond the company's abilities. It might feel niche, but the combination of nostalgia and actual functionality would be intoxicating enough to reach new and nostalgic buyers alike. What's more, the average user wasn't ready for what the Communicator offered back then. Buyers today, however, expect and rely on the very features -- email, browsing and productivity -- that ultimately made phones like the E90 too exotic back then.